I'm so excited to announce the details for my next Bead Cruise! Mark your calendars for March 2nd for a seven night cruise on Royal Caribbean's Navigator of the Seas. We'll set sail from New Orleans and head to tropical destinations such as Grand Cayman, Cozumel and Jamaica. Our instructors this year include Tracy Stanley, Ronna Sarvas Weltman, Beverly Herman, Kerry Bogert, guest instructor Erin Siegel and myself! We have classes that include beading, wirework, metalsmithing, bead embroidery, photography, polymer clay and more. Most of the projects are ones you'll walk out of the class wearing! And you'll return home home with all sorts of new skills to add to your box of jewelry-making tricks. It's not just classes and islands - we are having a bead shopping field trip the day before the cruise to Turquoise Coyote. It's a wholesale to the public store and induces bead shock! You'll walk around the store saying, "Is that really the price? Really?" Stones, crystals and pearls line every wall and every wall is lined with display classes filled with beads. Did I mention it's awesome! On the cruise we'll enjoy open beading sessions with demos and presentations from each of our instructors. 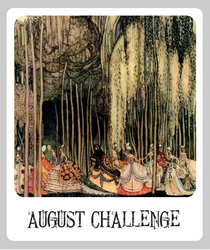 Join us for a jazzy 1920's inspired costume party. And you'll get to shop with our instructors during the Bead Bazaar. 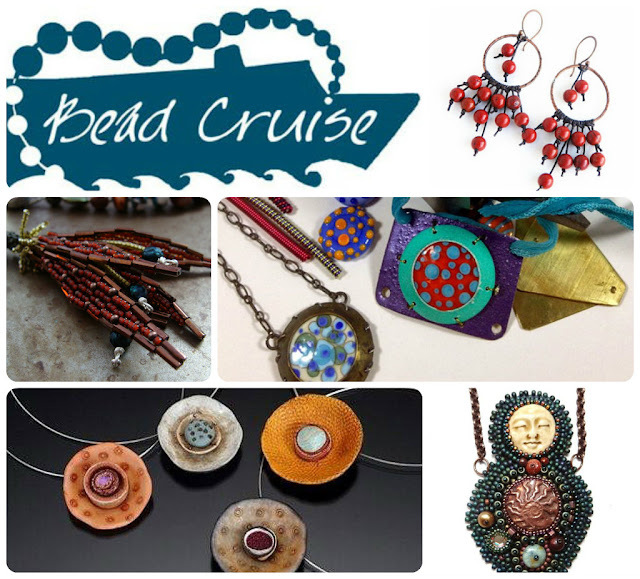 Check out all the details on our website, http://www.beadcruise.com/. Registration opens April 30th. In the meantime, I hope you'll take a look at this year's Bead Cruise program. I have four free projects in this book featuring items from our awesome sponsors! Wow a great line up!! I'm so excited to see one of my little ammonite cabs in Bev's Queen Wanna Bead class!! Hummm...Heather this looks fantastic. wonder if I can talk my husband into going & taking Tracy's classes. Flyingbeader - lots of husbands come along just for the fun of the cruise. You can bring a non-beady guest. But if he is into metal, Tracy's classes are AWESOME!